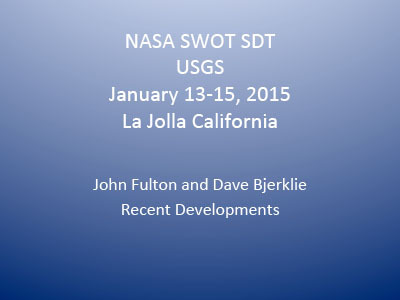 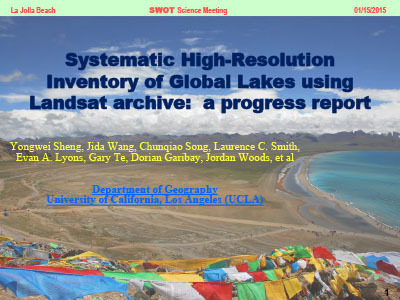 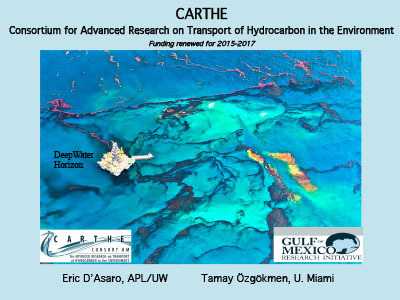 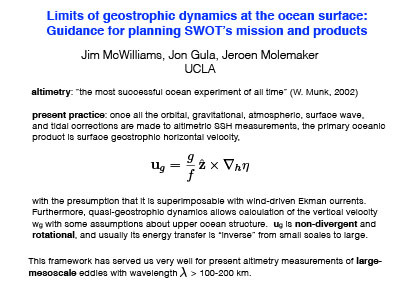 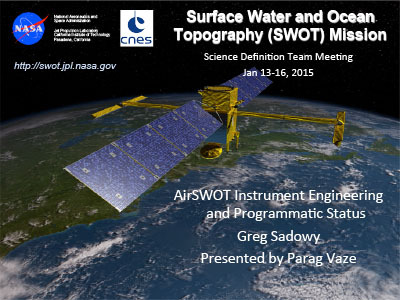 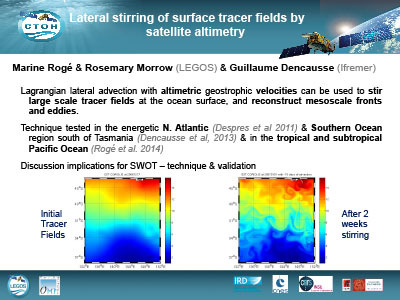 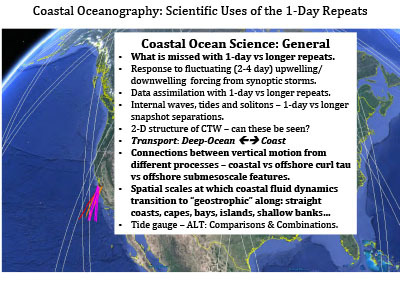 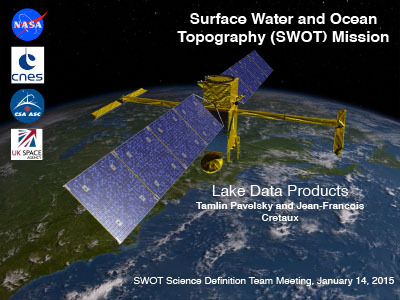 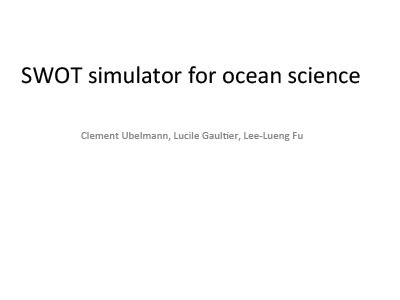 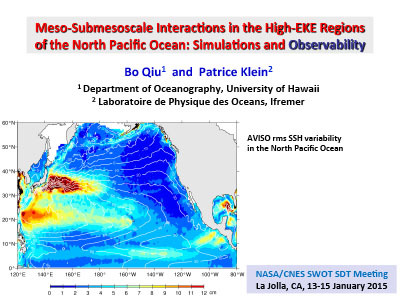 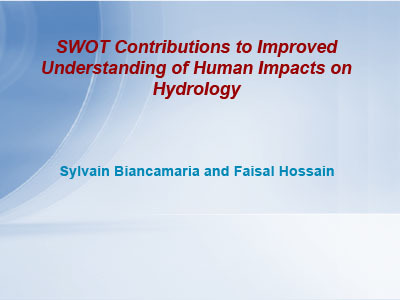 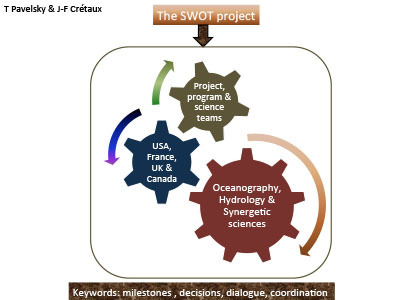 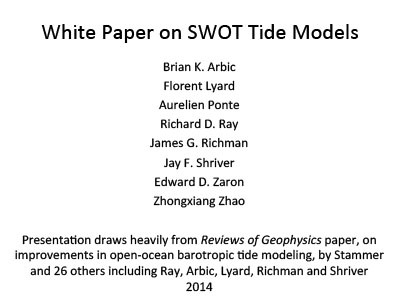 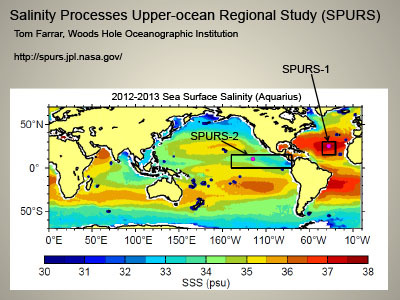 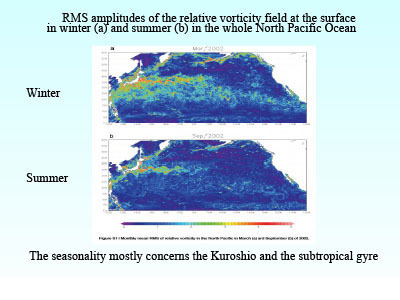 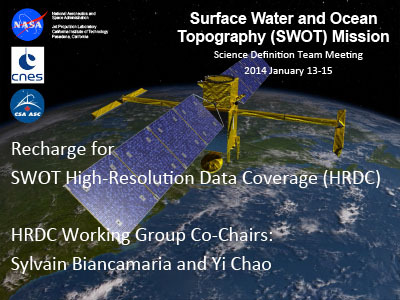 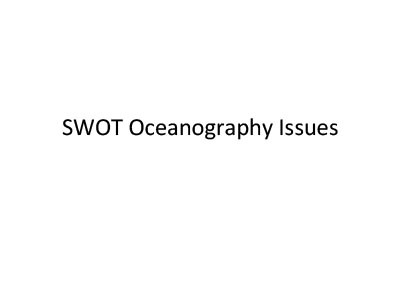 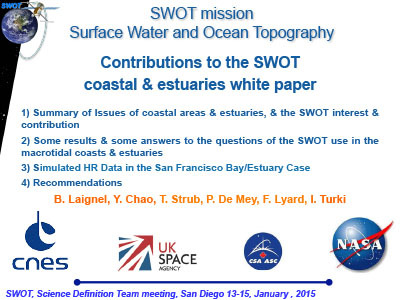 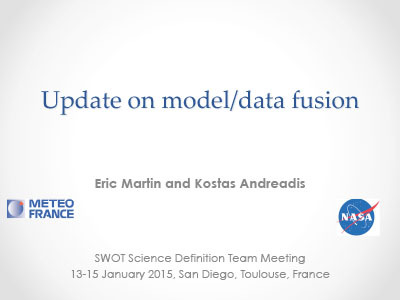 The Science Definition Team (SDT) of the Surface Water and Ocean Topography (SWOT) mission met in La Jolla, California during mid-January 2015. 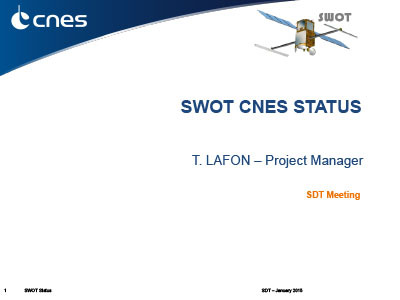 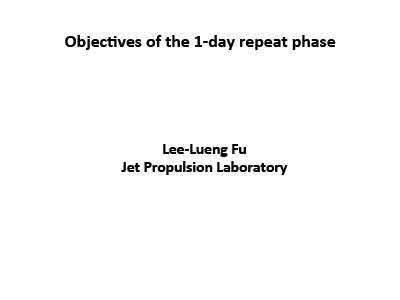 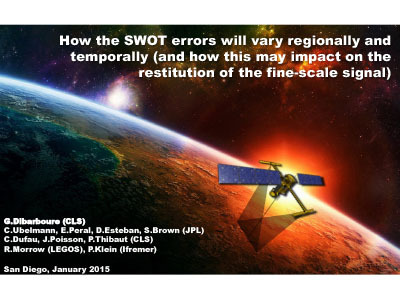 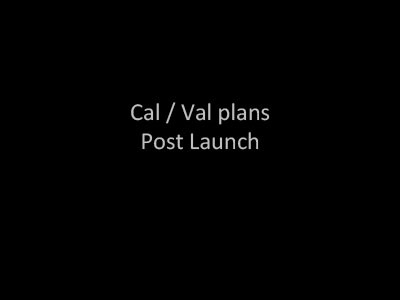 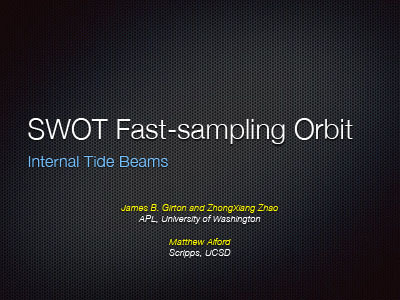 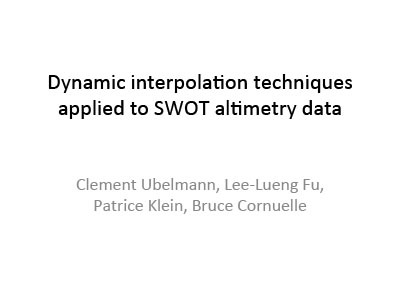 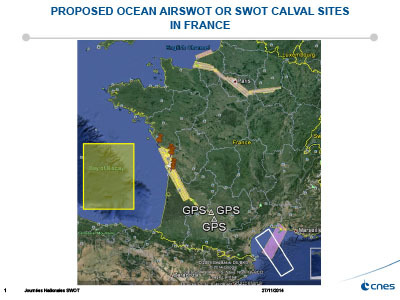 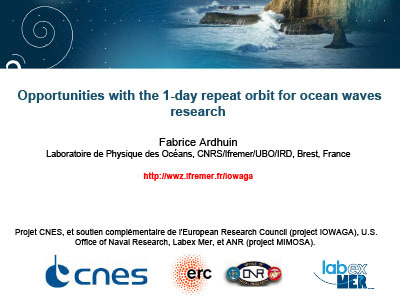 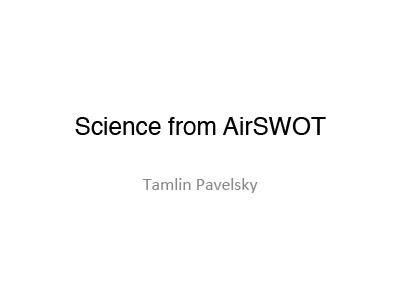 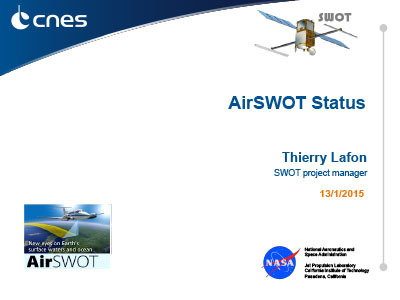 Topics covered include on-board processing, downlink capacity and data resolution, near-real time products, and the fast sampling phase of the SWOT mission. 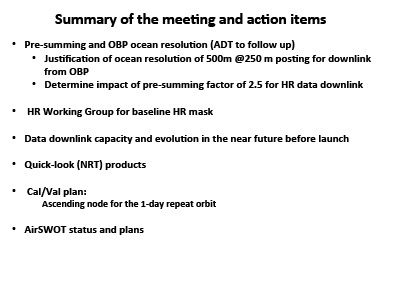 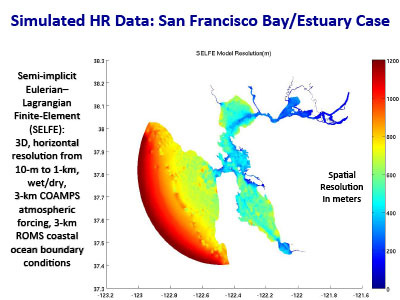 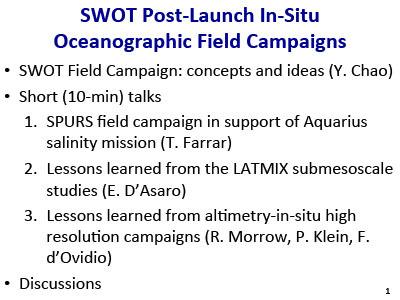 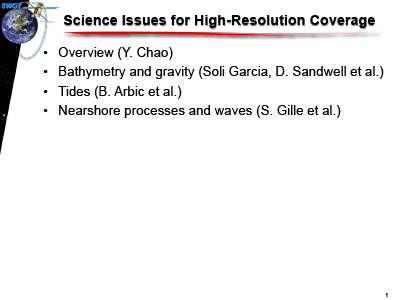 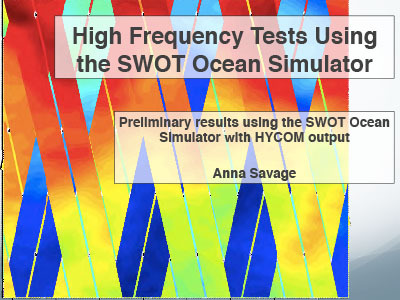 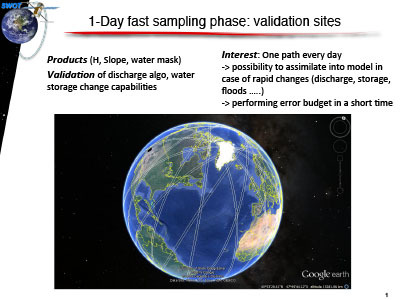 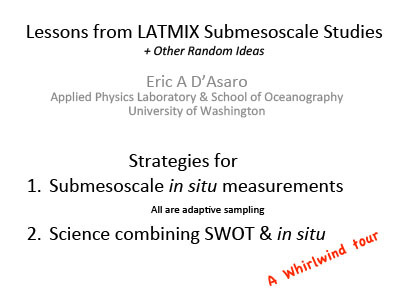 Splinter sessions focused on oceanography and hydrology addressed science products, simulated data, and post-launch calibration/validation campaigns. 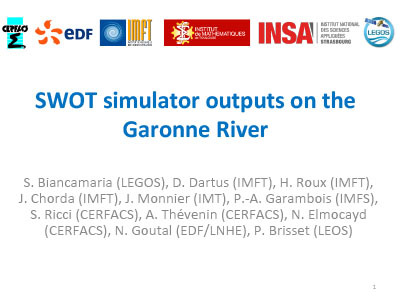 [14-Jan-15] Rodriguez, E., Cretaux, J-F., and Durand, M.
[14-Jan-15] Le Traon, P-Y. and Benkiran, M.
[14-Jan-15] Rodriguez, E., Calmant, S., and Pavelsky, T.
[14-Jan-15] D'Asaro, E., and Özgökmen, T.
[15-Jan-15] Shriver, J., Richman, J., and Arbic, B. 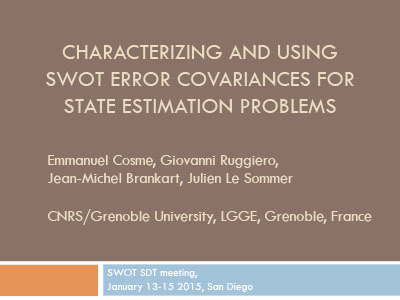 [14-Jan-15] Cosme, E., Ruggiero, G., Brankart, M., and Le Sommer, J. 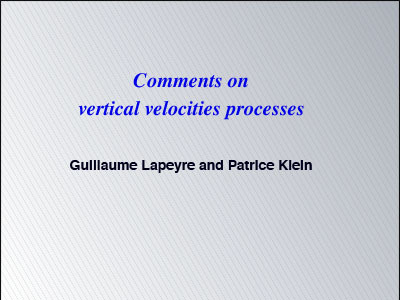 [14-Jan-15] Pavelsky, T., Durand, M., Allen, G., Esteban-Fernandez, D., and Peral, E.
[13-Jan-15] Lapeyre, G. and Klein, P.
[15-Jan-15] Laignel, B., Chao, Y., Strub, T., De Mey, P., Lyard, F., and Turki, I. 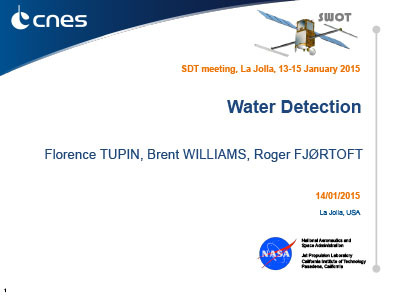 [14-Jan-15] Pavelsky, T., Esteban-Fernandez, D., Rodriguez, E., Andreadis, K., Biancamaria, S., Cretaux, J-F., Durand, M., Fjørtoft, R., Lettenmaier, D., and Smith, L.
[15-Jan-15] Durand, M. and Roux, H.
[14-Jan-15] Ubelmann, C., Fu, L-L., Klein, P., and Cornuelle, B. 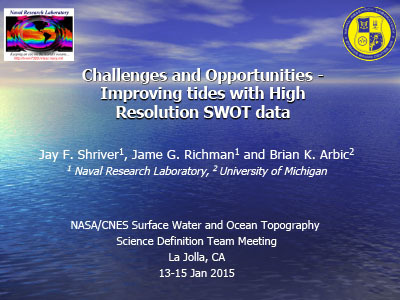 [14-Jan-15] Savage, A. and Arbic, B. 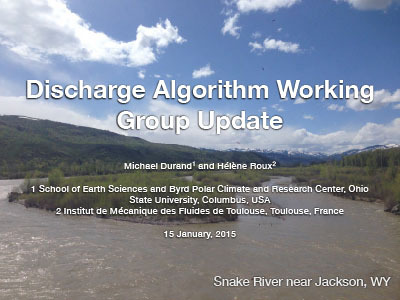 [14-Jan-15] Dibarboure, G., Ubelmann, C., Peral, E., Esteban-Fernandez, D., Brown, S., Dufau, C., Poisson, J., Thibaut, P., Morrow, R., and Klein, P.
[15-Jan-15] Garcia, E. and Sandwell, D.
[13-Jan-15] Esteban-Fernandez, D. and Peral, E.
[14-Jan-15] Pavelsky, T. and Cretaux, J-F.
[14-Jan-15] Rogé, M., Morrow, R., and Dencausse, G.
[14-Jan-15] McWillliams, J., Gula, J., and Molemaker, J. 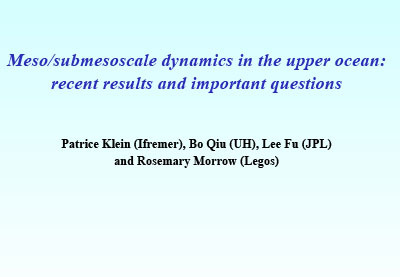 [14-Jan-15] Qiu, B. and Klein, P.
[14-Jan-15] Klein, P., Qiu, B., Fu, L-L., and Morrow, R.
[15-Jan-15] Klein, P., Morrow, R., and d'Ovidio, F.
[15-Jan-15] Cherchali, S. and Lindstrom, E.
[14-Jan-15] Steunou, N., Gille, S., Callahan, P., and Picot, N.
[13-Jan-15] Peral, E., Esteban-Fernandez, D., Rodriguez, E., and Pollard, B. 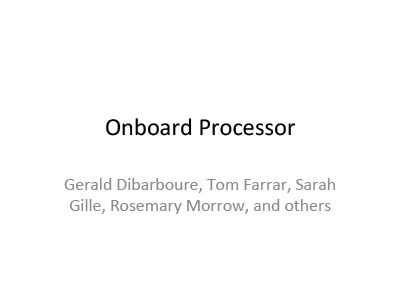 [14-Jan-15] Dibarboure, G., Farrar, T., Gille, S., and Morrow, R.
[13-Jan-15] Fernandez, D., Pollard, B., McWatters, D., Peral, E., and Clark, D.
[13-Jan-15] Rodriguez, E. and Picot, N.
[13-Jan-15] Rodriguez.E. 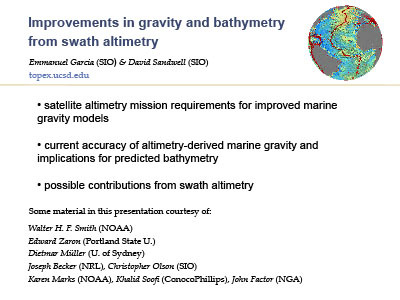 and Calmant, S.
[14-Jan-15] Esteban-Fernandez, D., Pollard, B., McWatters, D., Peral, E., and Clark, D.
[13-Jan-15] Cherchali, S. and Lindstrom, E.
[13-Jan-15] Vaze, P. and Lafon, T.
[14-Jan-15] Biancamaria, S. and Chao, Y. 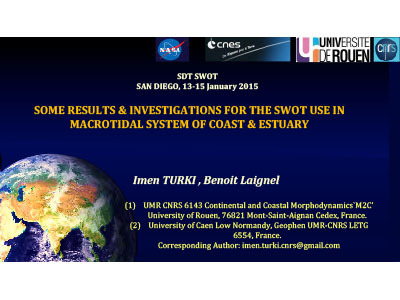 [14-Jan-15] Picot, N. and Fjørtoft, R.
[14-Jan-15] Durand, M. and Biancamaria, S.
[15-Jan-15] Turki, I. and Laignel, B. 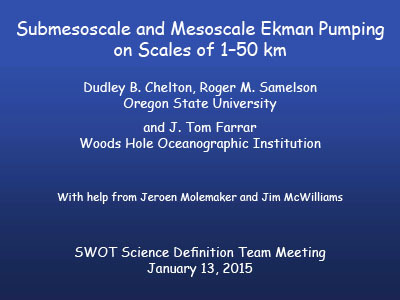 [13-Jan-15] Chelton, D., Samelson, R., and Farrar, T.
[15-Jan-15] Srinivasan, M., Peterson, C., Andral, A., and Dejus, M.
[13-Jan-15] Biancamaria, S. and Hossain, F.
[15-Jan-15] Girton, J., Zhao, Z., and Alford, M.
[13-Jan-15] Pavelsky, T. and Cretaux, J-F.
[13-Jan-15] Morrow, R. and Fu, L-L.
[14-Jan-15] Albouys, V., Noubel, J., Tyrou, V., and Lamy, A. 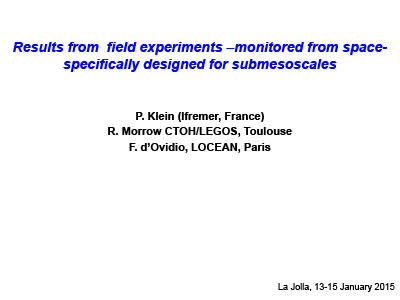 [14-Jan-15] Ubelmann, C., Gaultier, L., and Fu, L-L.
[15-Jan-15] Biancamaria, S., Dartus, D., Roux, H., Chorda, J., Monnier, J., Garambois, P-A., Ricci, S., Thévenin, A., Elmocayd, N., Goutal, N., and Brisset, P.
[15-Jan-15] Sheng, Y., Wang, J., Song, C., Smith, L., Lyons, E., Te, G., Garibay, D., and Woods, J. 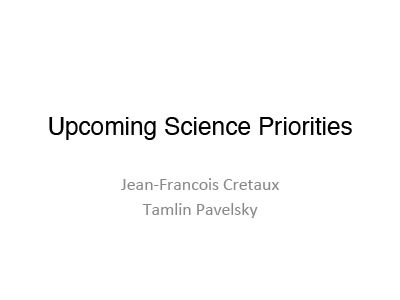 [15-Jan-15] Cretaux, J-F. and Pavelsky, T.
[14-Jan-15] Gal, T., Peral, E., Johnson, M., Williams, B., and Esteban-Fernandez, D.
[15-Jan-15] Martin, E. and Andreadis, K.
[14-Jan-15] Fulton, J. and Bjerklie, D.
[14-Jan-15] Tupin, F., Williams, B., and Fjørtoft, R.
[13-Jan-15] Rodriguez, E., Wu, X., and Chen, C.
[15-Jan-15] Arbic, B., Lyard, F., Ponte, A., Ray, R., Richman, J., Shriver, J., Zaron, E., and Zhao, Z. 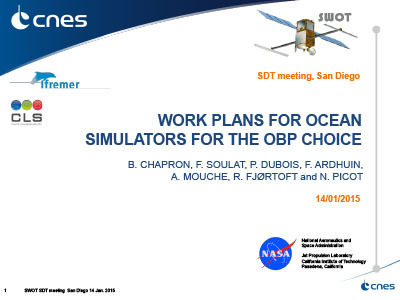 [14-Jan-15] Chapron, B., Souat, F., Dubois, P., Ardhuin, F., Mouche, A., Fjørtoft, R., and Picot, N.